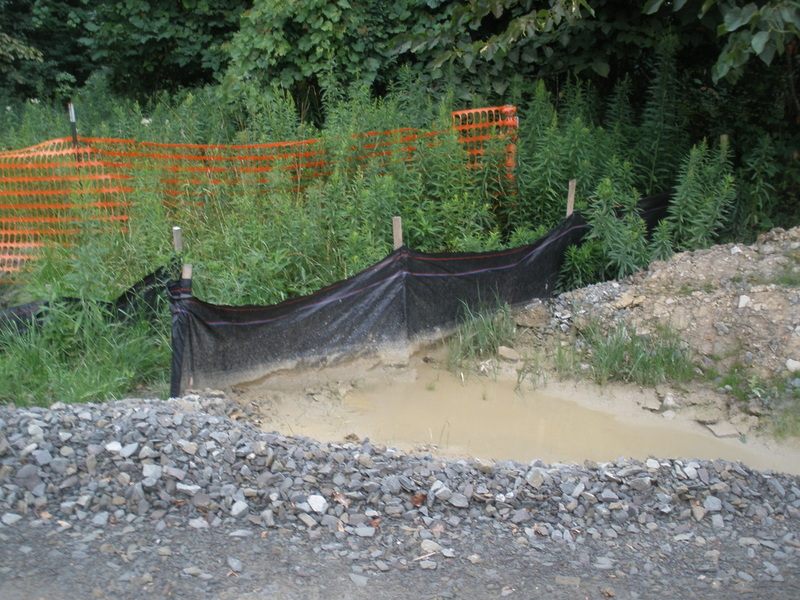 A temporary barrier of geotextile fabric installed on the contours across a slope used to intercept sediment laden runoff from small drainage areas of disturbed soil. 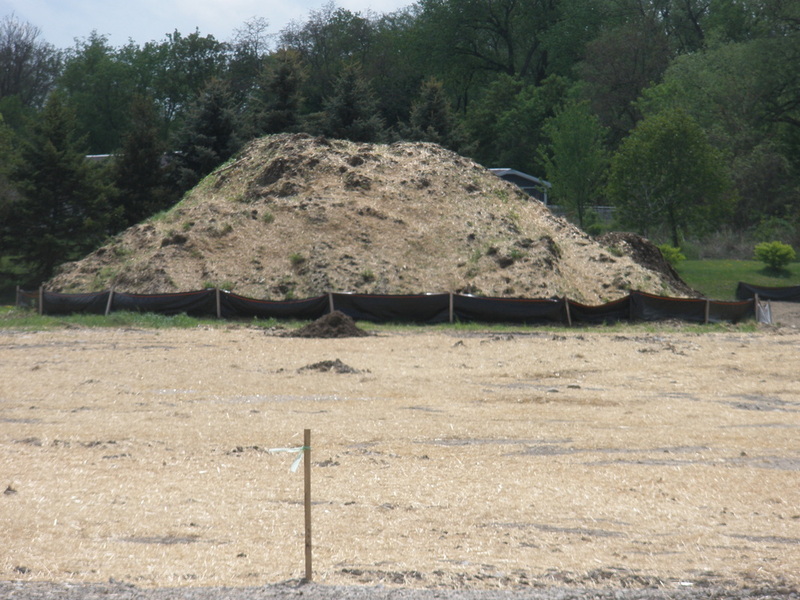 The purpose of a silt fence is to reduce runoff velocity and effect deposition of transported sediment load. Limits imposed by ultraviolet stability of the fabric will dictate the maximum period the silt fence may be used (approximately one year).